Visitor Chime alerts employees when a visitor enters or exits with a pleasant "ding-dong" sound. Chime includes a high-low-off volume control. Light-reactive sensor has a sensing distance of up to 15'. Sensor may be used with door open or closed. Mount easily on wall with angle adjustable bracket. 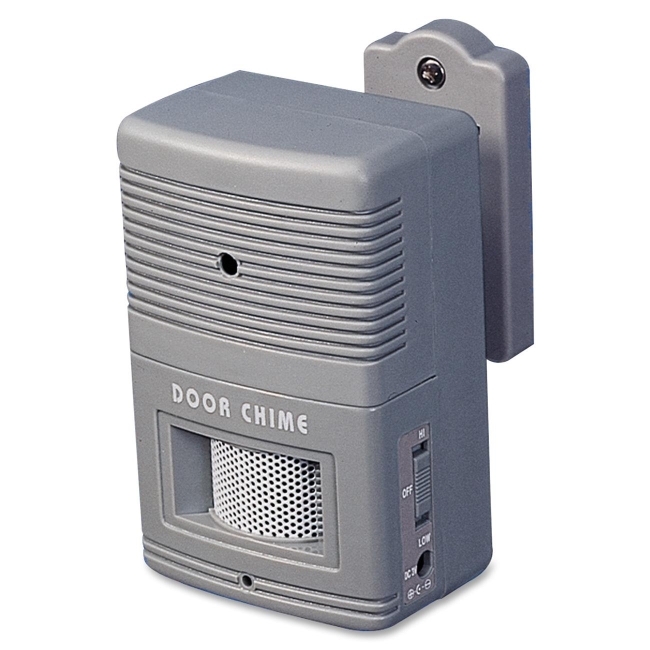 Chime operates with four AA batteries or TCO 16300 Universal DC adapter (sold separately).